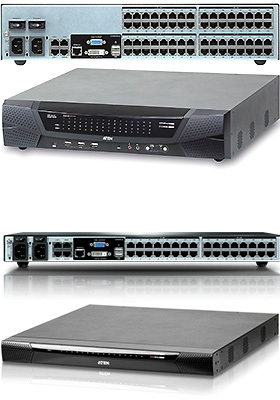 ATEN's 4th generation of KVM over IP switches exceed expectations. 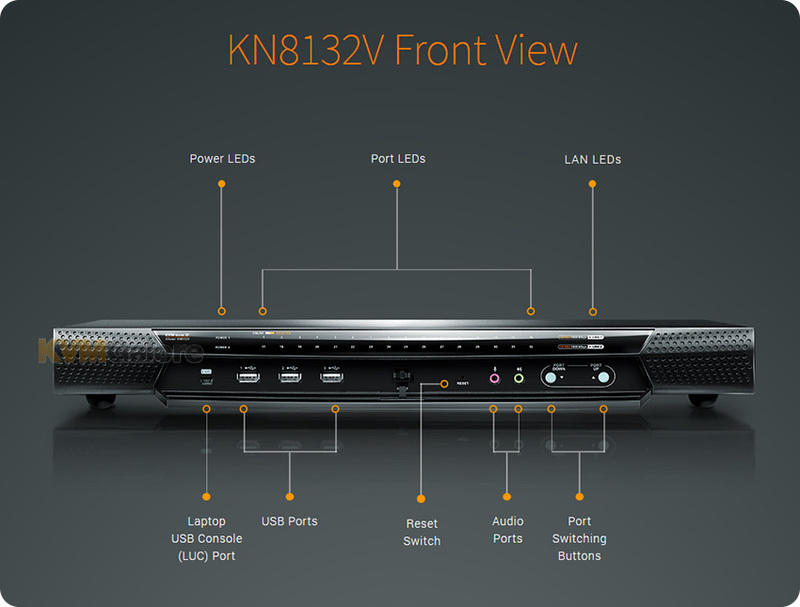 KN-series series feature superior video quality (HD resolution of 1920x1200), FIPS 140-2 with level 1 security standards and virtual media transmissions at twice the speed. KN series provides local console and remote over IP access for users to monitor and access their entire data center over a network. In addition, it offers out-of-band access with external modem support for BIOS-level troubleshooting when the network is down. With dual on-board NICs and dual power supplies, KN series are built for reliability, to ensure 24/7 availability of remote access to all servers. KN series devices can be integrated into the CC2000 Management Software. The CC2000 puts administrators in complete control of remote data centers and branch offices no matter where they are in the world - allowing IT administrators to remotely monitor and control all devices on a network, including blade servers and virtual machines. To help you manage and control an entire data center, ATEN KVM over IP switches support blade servers and chassis. With powerful features such as Power Association - KVM ports can be associated with ATEN PDU power outlets for power management of servers from the KVM over IP switches' user interface. Additional exclusive features of ATEN KVM over IP switches include: a Message Board, Panel Array Mode™, Mouse DynaSync™ and the Adapter ID. ATEN KVM over IP switches save you time and money by allowing administrators to manage their data centers from practically anywhere - minimizing travel and MTTR (Mean Time to Repair) costs, ensuring the highest availability for data center services possible.